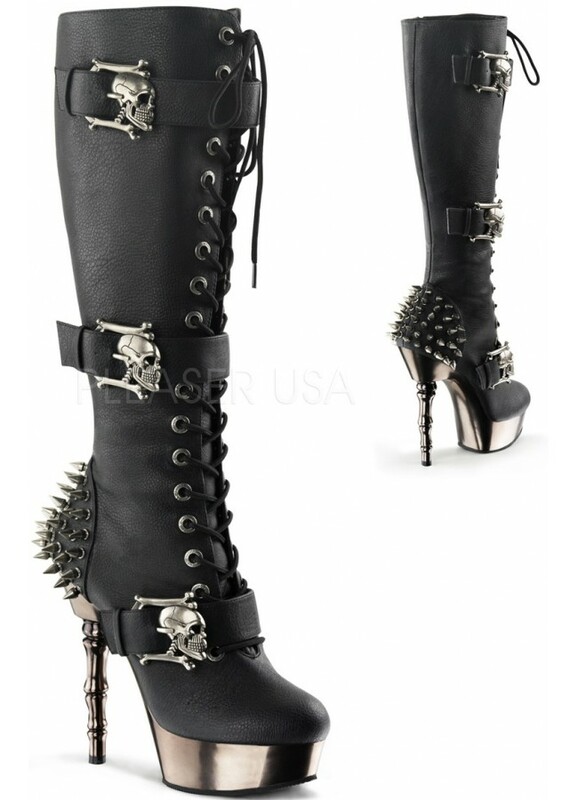 These amazing knee high boots have skull buckles and a bone design heel with studded back heel. 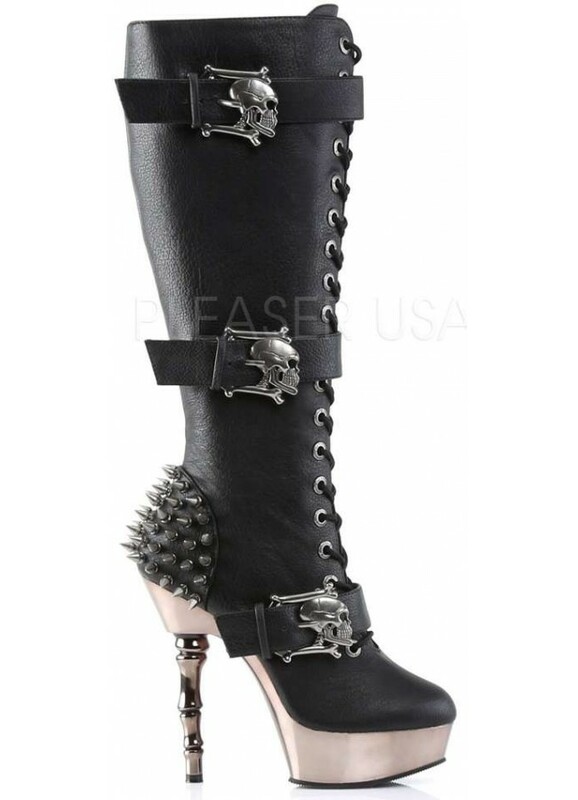 Black faux leather boot has a chromed pewter bone design heel with lace up front and skull and bones buckled straps. Full side zipper. Heel is 5 1/2 inches high with a platform that is about 1 inch. All man made materials with padded insole and non-skid sole. Made in womens sizes 5-13, average width. 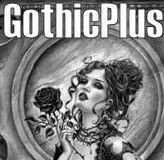 Item Number: PL-MUERTO-2028 | Approximate Size (Inches): 12.00 wide x 14.00 deep x 8.00 high | Approximate Shipping Weight: 5.00 lbs. Shaft Height 13 3/8 inches (34.0 cm). Boot shaft height measurements were taken from where the upper meets the heel to the top of the boot shaft on a women's size 7. 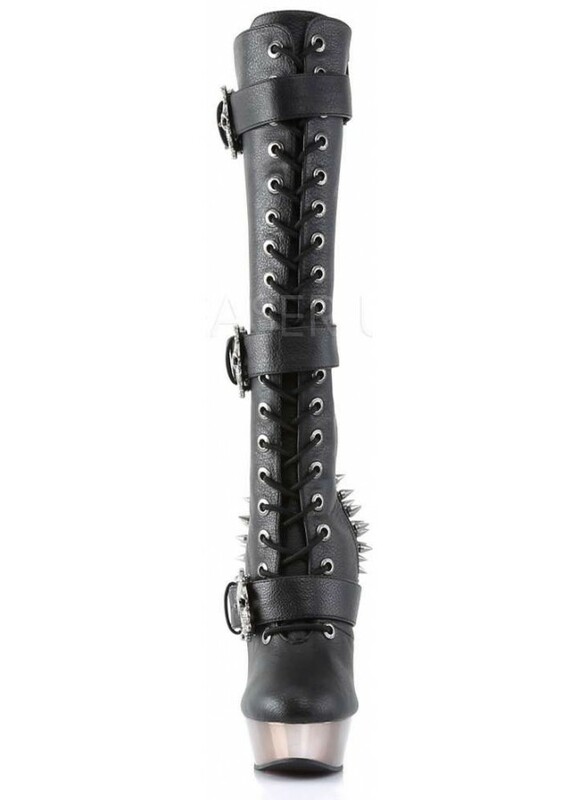 Does NOT include the heel or platform height. Average Shaft Height Adjustment ± 3/8 inch (.80 cm). For sizes other than 7, add or subtract this amount once per size (example: subtract this amount x2 for a size 5). Does NOT include the heel or platform height.